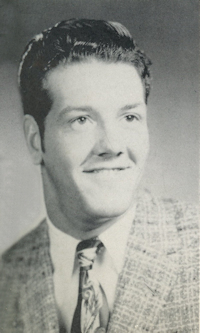 Obituary – Chapman, Billy Ray « Perry High School Alumni Association, Inc.
Football 55-58; Basketball 55-58; Homeroom Vice-President 57-58; Assembly 57-58; Basketball Co-Captain 57-58. 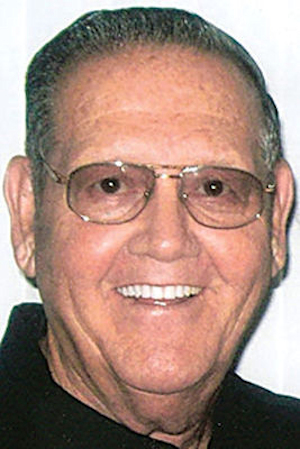 Funeral for Billy Ray Chapman, 72, of Enid, will be 11:30 a.m. Tuesday, November 29, 2011, at First Assembly of God Church, with Rev. Dan Barrick and Rev. Jared Cloud officiating. Burial will be at 3 p.m. in Grace Hill Cemetery, Perry. Arrangements are by Anderson-Burris Funeral Home. Visitation for family and friends will be 6-7 p.m. Monday at the funeral home. Billy was born on November 3, 1939, in Hominy to Winfred Walton and Pauline (Landsaw) Chapman and died Wednesday, November 23, 2011, in Enid. Billy graduated from Perry High School and served from 1958 to 1961 in the U.S. Army as a military police officer, where he earned medals in carbine and pistol marksman. On September 14, 1958, he married Patsy Graves in Billings. He worked as a law enforcement officer in Perry and Enid. Billy worked for 18 years at Boys Market and recently was employed part time at Dollar General. He was a member of American Legion and First Assembly of God Church. Billy enjoyed fishing, woodworking, reading westerns and spending time with his kids and grandkids. Surviving are his wife, Patsy of the home; two children, Greg and Lisa Chapman of Enid and Deana and Ray Lamle of Nebraska; seven grandchildren, William, Alex and Elizabeth Hyde, Hunter and Peyton Chapman and Jarod and Taylor Winters; his parents, Winfred and Pauline Chapman of Enid; his mother-in-law, Ruby Graves of Perry; a sister-in-law, Vernona and Jim Davis of Perry; a brother-in-law, Jack and Pat Graves of Corona, CA; two nephews, Jimmy Parks of Seiling and Gene Parks of Fort Worth, TX. Billy is preceded in death by his sister, Betty; father in law, Alfred Graves; brother-in-law, Ralph Dean Graves; and sister-in-law, Jerri Graves. Memorials may be made through the funeral home to OMRF, First Assembly of God Church or to the family to help with expenses.